Customer service is not a department, it's everyones job. Loyal customers, they don't just come back, they dont simply recommend you, they insist that their friends do business with you. Clients and customers are the heart beat of any business and once you lose them, you are lost. 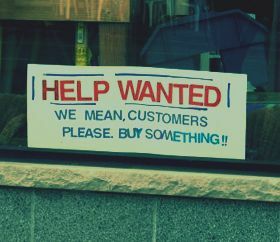 It s very hard to find a customer and harder to make them your permanent customers. One small mistake in your business you make, your customer becomes another one’s customer. So, your business world should revolve only around them. It is crucial to give the utmost product satisfaction to your customers. You are in the business only because of and for the customers; if they go away, you go away too. “This is all the more important in this internet world because your competitor is only a mouse click away “said Doug Warner. In most of the cases, neglect is the cause for the loss of most of the business than any other reasons. The customer is the king should be the motto of all kinds of business and read these quotes on clients and customers which will certainly be helpful fro those who are already in business and for those who want to enter into the world of business.